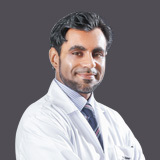 Dr. Rafiq completed all his training in the UK in large tertiary teaching hospitals (Leeds and Sheffield) including his MBChB and his fellowship at the prestigious Western Eye Hospital, London sub specializing in complex cataracts and advanced glaucoma including Minimally Invasive Glaucoma Surgery. Mr Rafiq is a fellow of the Royal College of Ophthalmologists UK. He has performed over 6000 procedures including over 1500 in small incision cataract surgery with superb surgical outcomes. He is leading the way with regards to treating glaucoma with new novel strategies especially Minimally Invasive Glaucoma Surgery. 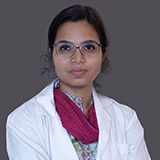 Dr. Rafiq is a Consultant Ophthalmologist and an Educational Supervisor as well as the Clinical Audit and Effectiveness lead. He received the CCT on the General Medical Council UK as Specialist Register for Ophthalmology, and was a Substantive Consultant Ophthalmologist Rotherham at the NHS Foundation Trust, UK. 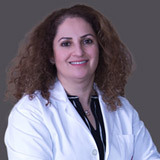 Dr. Rafiq has a huge amount of patient testimonials and feedback for his gentle and caring attitude as an Ophthalmologist. 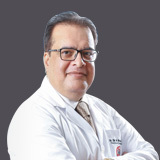 Dr. Rafiq speaks English, Urdu, Punjabi amd Hindi.